Things may be getting worse in Zimbabwe in the coming days. This is because a new president may be imposed on the citizens of the country. 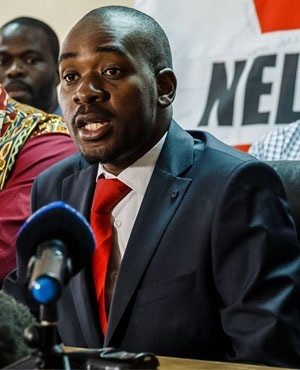 Opposition party, Movement for Democratic Change (MDC), says it will hold a mock inauguration to name its leader, Nelson Chamisa as the country's president this week, highlighting its claims that the July 30 election was rigged. Chamisa, head of MDC, narrowly lost to Emmerson Mnangagwa in Zimbabwe's first election since the ousting of long-time ruler Robert Mugabe last year. Mnangagwa, of the ruling ZANU-PF party, won the election with 50.8 percent of the vote -- just enough to meet the 50 percent threshold needed to avoid a run-off against Chamisa, who scored 44.3 percent.